In our blog post about the Chinese MITM of GitHub we revealed the identity of the anonymous capture file uploader by analyzing metadata available in the PCAP-NG file format. In this blog post we explain what type of meta-data that can be found in PcapNG files, and how to extract it. The old libpcap format (a.k.a. PCAP) is designed to only store captured network frames. The new PCAP-NG format, however, additionally includes the ability to store meta-data in the capture files. In fact only about 20% of the PcapNG file specification concerns storage of captured frames, the remaining 80% is focused on various types of metadata. However, what is not shown in this summary view is that MachineB.pcapng additionally contains cached name resolution information for two machines. The easiest way to extract this extra metadata is to upload the capture file to pcapng.com, which will display a list of the metadata that was found in the uploaded file as well as convert the capture file to the old libpcap format (without metadata). 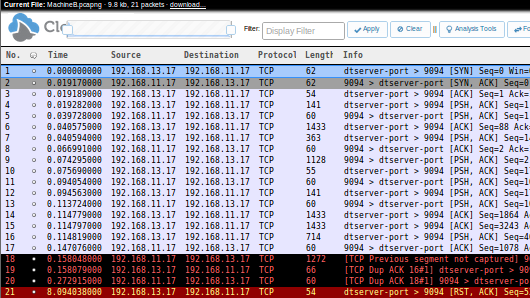 Thus, it seems as if the Wireshark pcap-ng host name disclosure bug wasn't fixed in Wireshark 1.8.4 after all. It is, however, not only Wireshark that might leak private information in PcapNG metadata. The command line tool Mergecap additionally stores the complete path and filename of the individual capture files that have been combined with the tool. This is most likely not a bug, but rather information leakage by design, so don't expect this to be mitigated in a future Mergecap release. 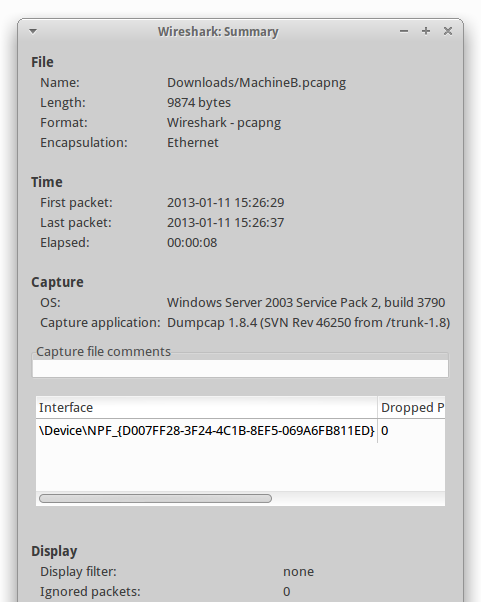 Another alternative is to convert your PcapNG files to PCAP format before sharing them.